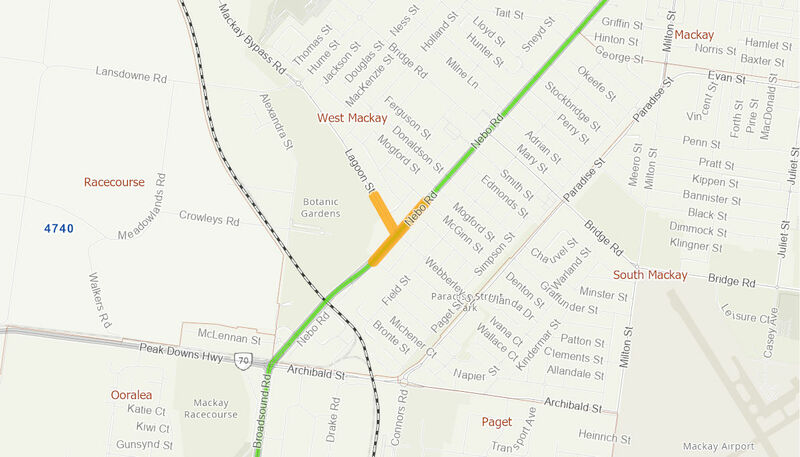 This project will upgrade the Lagoon Street and Nebo Street intersection (in southern Mackay) through the addition of turning and through lanes. The project will improve travel reliability, productivity, pedestrian safety, and cycle connectivity on this stretch of the Bruce Highway. The Australian Government has committed up to $863,000 million to the project, in partnership with the Queensland Government. Construction commenced in September 2018 and was completed in December 2018.